I have a million e-mails. It's not actually a million, but it makes my soul feel that way. I know this feeling. It happens when I've been staring too long at a screen, clicking reply until I lose track of time and space and what name I'm supposed to sign in the sendoff. (It's Chris. My name is Chris.) The only way to fix it? 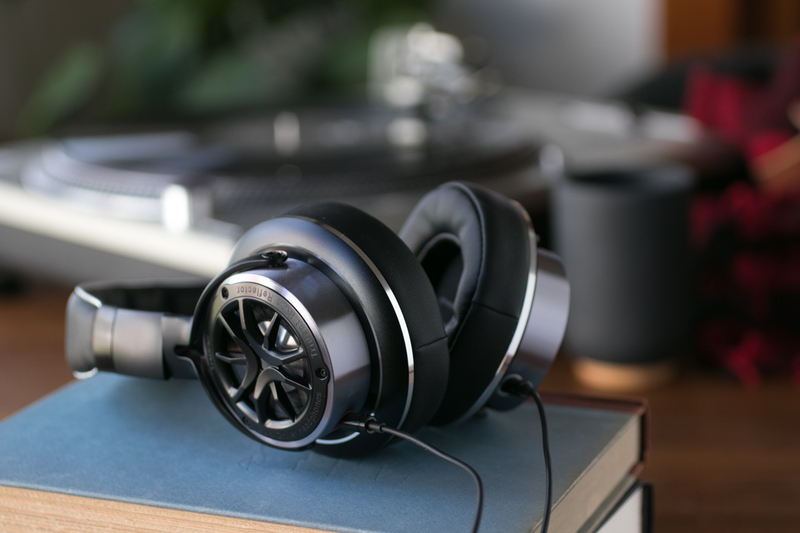 Get away from the computer, turn on some music, and build something. So let's go out to the shop and build a box that will never, ever have e-mails in it. Here's a simple woodworking project that can get you back to working with your hands, but isn't too fussy or complicated. And the cool part — it uses just a few basic tools and single board. When it's done, you'll have a stylish, versatile, stacking storage solution that will come in handy in any room in your house. The digital library and streaming services are great for checking out new stuff, singles, and the mighty, might playlist, but the only real option worth pursuing if you're interested in building a music library is one of recording's oldest formats: the vinyl record. Mexican-born artist Margarita Cabrera has created this compelling line of "soft sculptures," in which she replaces the parts of everyday items such as cars, appliances, and backpacks with fabric and thread. In doing so, the "threads left exposed serve as a reminder of the labor involved in the manufacturing of this subject matter. Sagging vinyl imbues the work with an anthropomorphic quality that references the harsh nature of worker’s realities." 8-Tracks never made it, cassettes are harder and harder to find, and CDs are certainly on their way out, but the vinyl record? Here. To. Stay. 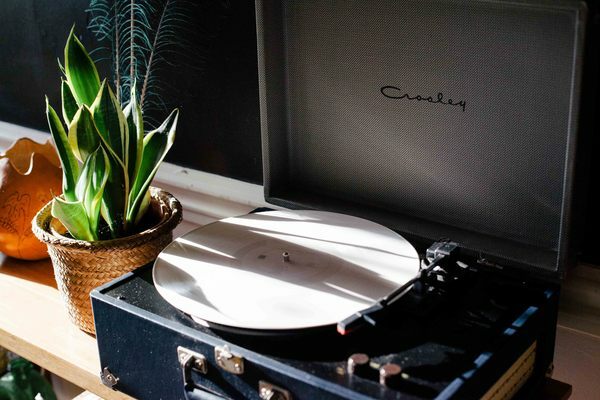 If you head to any flea market, thrift store, or charity shop, you'll find plenty of functional, yet ugly and worn out, turntables and record players. What to do? Take them home, rip out the guts, and install on a nice slice of wood. Tastebuds, a new dating site that makes suggestions for potential partners based on what kind of music you like (huh...), has assembled a collection of the "Worst Album Covers of All Time." While I can't validate if these are hands down the absolute worst covers ever printed, as I've seen plenty equally awful in the bargain bins at thrift stores and garage sales, these are certainly among the most ill-conceived. Ever. Sometimes, the simplest ideas are the most effective. For his 33 RPM series, Swedish photographer Phillip Karlberg does nothing more than place various tasty dishes on top on a turntable and snap an image. And the results? Fan-tastic. Physical music media have gone through a curious century. The vinyl album dominated for nearly 75 years, than gave way to a ten-year success of the cassette, which was left behind by the CD, with all the 8-tracks and mini-discs and other less successful technologies mixed in. And now, at least among those who are serious about music - a mix of the two extremes: digital, either as actual files or subscribed up the in cloud somewhere, and the original vinyl LP, still reknowned for its warm fideiity and large cover art. 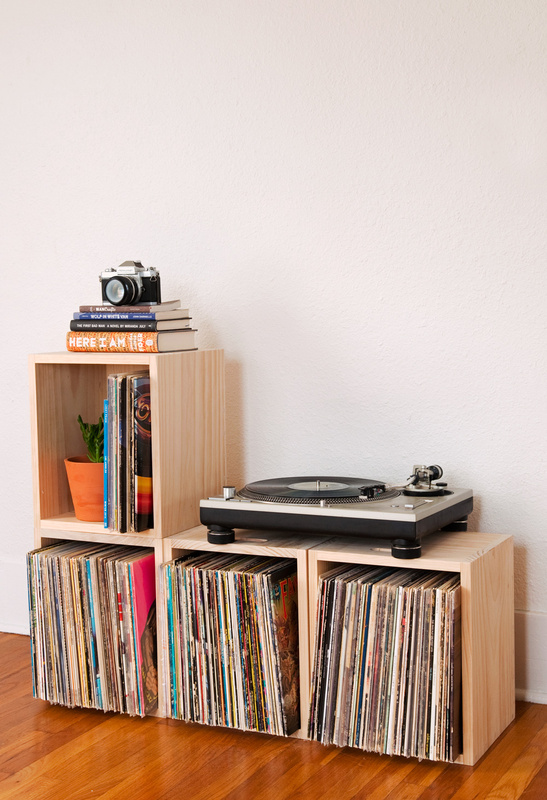 Of course, modern furniture isn't built to house LP collections. They don't fit in contemporary milk crates, and most of those little flatpack cube-storage units are just a half-inch too small. So, it's time to build your own. Madrid-based artist artist Alejandro de Antonio has applied the cut vinyl record approach to portray the actual rock stars represented on the albums. I first discovered Sleeveface/sleevefacing/holdingupLPcoverssothesingersfacelookslikeitsyours over a holiday break a few years ago, and I basically spent the entire day after Christmas scouring through the entire archive. Since then, the phenomenon has grown amazingly, resulting in a quite organized website, and a book! So, now, you can be like, "Oh, I wanna see a Ramones album," and...here you go. The trend is defined as "one or more persons obscuring or augmenting any part of their body or bodies with record sleeve(s) causing an illusion." I'm pretty sure you can figure out the rest from the photos. Fun, right? I have a three year old nephew, and I think he's totally awesome. Not in the "all little kids are adorable way," but in the "this kid has got crazy personality way. He knows that he's funny, and is very smart about using his presence, face, and words to be entertaining and smart. So, I wanted to get him something special that he could continue to use once all the dumptrucks and Buzz Lightyear Jr. action figures wore out. His favorite thing to do when he comes over is to play around with all my musical instruments and noisemakers. So, I headed to the toy store, and saw this mini-drum set on clearance, I knew I had to get it. So, I put in together in my living room, tuned it up, and then the wheels started turning. (Okay, and let's be honest. I also couldn't stop playing it for a couple of days). He loves the Beatles, and his geek dad has got him watching Star Wars, and I certainly can't ever leave stuff alone. So, I knew I has to customize the kit just for him. How's this for genius? Inspired by Jazz Appreciation Month in April, the clever minds at the Curiousity Group designed this free, downloadable calendar which features a tiny little vinyl album with a cutaway that reveals the date! Musician James Blake recently issued the CMYK EP. Jazz instrumentalist Matt Glassmeyer needed a roof for his porch. As a musician, he knows plenty about vinyl albums, and has a history of inventing clever items: "the shuitar (an acoustic drum machine-like instrument made from an acoustic guitar body), the buzzophone (tenor saxophone played with a custom trumpet-like buzzing mouthpiece), and amplified contra-alto clarinet." So, Matt put his creativity to work and came up with an idea for his roof. Estonian designer Pavel Sidorenko has turned the recycled record wall clock motif upside down with this new series of laser cut LPs. Each piece creates a unique shape from vintage vinyl, making them appropriate for any room in the house, not just music or kitchsy themed spaces.